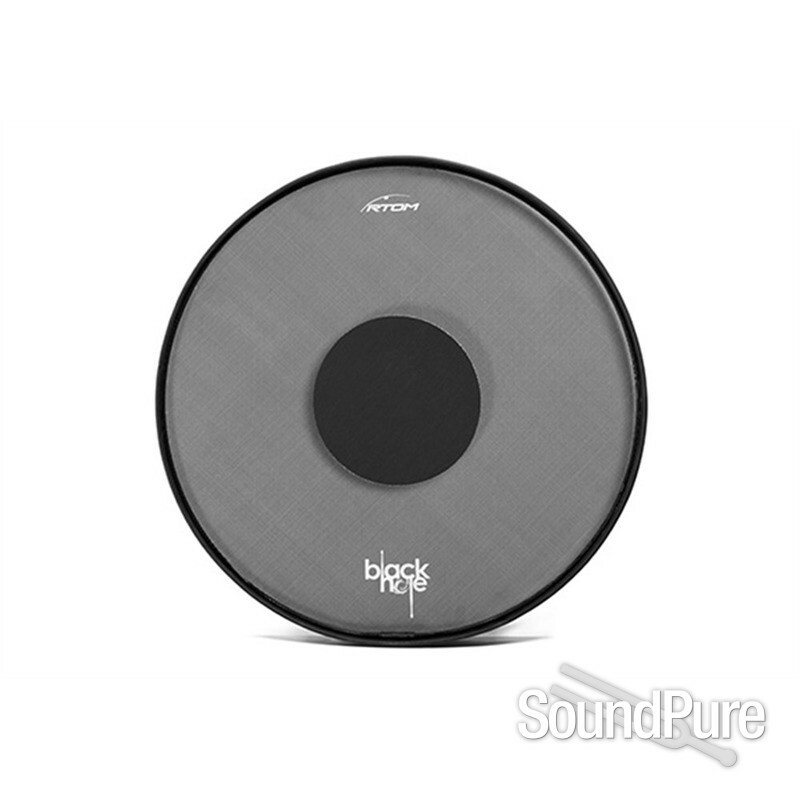 RTOM Black Hole Snap-on Mesh Bass Drum Practice Pad-22"
A revolutionary new way to practice without disturbing those around you. Want low-volume practice without sacrificing sound? Meet Black Hole, your new best friend. 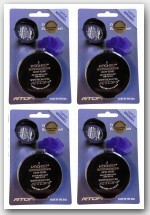 Snap it on, tune to your desired tension, and you’re ready to go. Each head can be independently tuned to match the pitch and tension of the drum on which it’s attached by rotating a turnbuckle located on the underside of the rubber hoop with an included tool. The bass drum sizes (18-24) include a metal extender plate that you use to connect the pedal. Simply clamp the pedal to the extender, and then slide the extender under the hoop of the Black Hole until it locks in place. Sounds exactly like your drum set–just quieter!